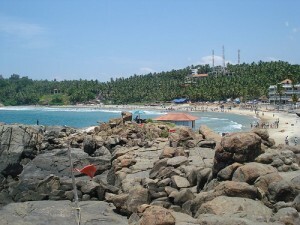 Kerala trip, they asked me to visit Kovalam, located 15 km from the capital city Thiruvananthapuram. Again they told me that the small town of Kovalam is simply perfect for exotic holidays. Now I was very excited to explore the divine beauty of the place. I was confused why my friends were promoting the place so eagerly. But all my curiosities came to an end when I arrived at Kerala’s beautiful Kovalam beach. A superb blend of sun, sand, surf and sea, lush green coconut groves, wonderful opportunities for adventure sports and marvellous sightseeing – the place was spellbinding. 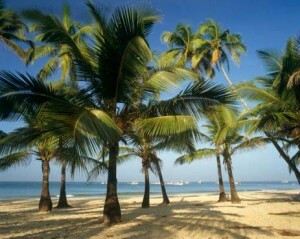 I call it the paradise of south India. 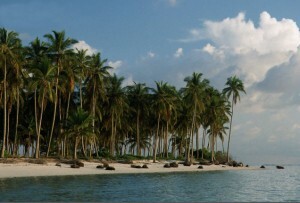 While I was walking on the shimmering silver sands, the palm fringed beach was giving me a sense of well-being. I could see various tourists busy in surfing, rejuvenating themselves with oil baths and Ayurvedic massages, and many such activities alongside the beautiful beach on the Malabar Coast. While enjoying a drink at a beach side shake, the waiter told me that Kovalam means ‘a grove of coconut trees’. The place is quite popular amongst sea surfers from India as well as abroad. People come here for lazing around, sun bathing, or swimming in the cool waters if the sun gets too much for them. Kovalam beach, basically, comprises of three small beaches – the Lighthouse beach, Samudra beach and the Hawah beach. I also found a few health centers there, which promote both yoga and meditation to clean the mind as well as soul. In the evening, I treated my taste buds with the authentic sea food dishes including lobsters, and enjoyed a few cultural performances of the famous dance form ‘Kathakali’ and martial art form ‘Kalaripayattu’. The next morning, I started with shopping. The markets were loaded with the rarest of handicraft items and I could feel the aroma of fresh spices everywhere. While enjoying the catamaran cruise on country rafts, I explored some of the rural ares near the village and observed the lifestyle of those villagers also. The trip was unforgettable. I called up my friends, and told them that it was actually an ‘exotic holiday’ ! complex post. upright one detail where I contest with it. I am emailing you in detail.